I’ve been 100% keeping a secret from you guys. SORRY/NOTSORRY plz forgive me. Remember when I wrote that one book about nut butters? Ha! Yeah well my publisher for Nut Butters approached me late last year and asked if I’d write one on SMOOTHIE BOWLS! I said “um yes of course” and proceeded to brainstorm 50 of the tastiest smoothie bowls I’ve ever made in my LIFE. Then I photographed them and put them in a book for you all! Long story short: Smoothie Bowls, by meeeee, is coming out next Tuesday! You can pre-order from Barnes & Noble, IndieBound, or Amazon! Do it! There are some classic flavor combos like coconut berry, peach creamsicle, and raspberry chia, and some unusual ones like golden milk, cranberry vanilla maple, and creamy honey pineapple (this one was srsly uhmazing). So, thank you all for being here through multiple books, allllll the recipes, a few continents, many big life changes, and so much more!! I’ll leave you with a recipe for a smoothie not included in the book — beet cherry. This is admittedly a pretty vegetable-heavy smoothie, so if you’re not down with that … maybe decrease the beet and increase the cherry! 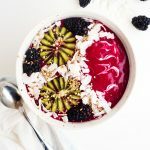 Please let me know if you have any questions — I’m excited to share the world of smoothie bowls with you all!! 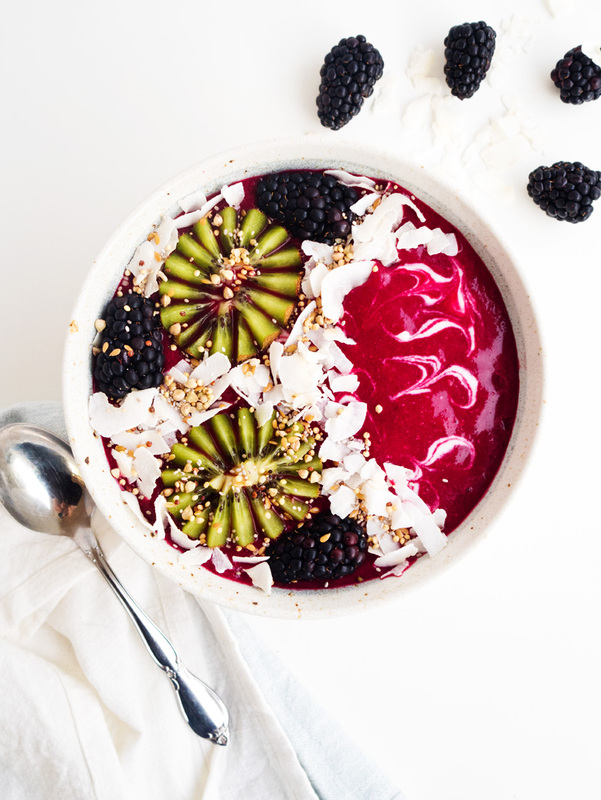 This smoothie bowl has beets, squash, cherries, frozen coconut, carrot juice, yogurt, and more — all for a healthy, filling, smoothie bowl breakfast! Combine all of the base ingredients together in the blender. Blend until smooth, adding more liquid as necessary to reach a smooth consistency. Pour the base into a bowl, and top with your toppings!